Take a look at our list of vacancies below and see which appeal most to you. Looking for something different? Get in touch with employers you would like to work for and see if they would consider taking you on as an Apprentice at the College. If you can’t see a vacancy that interests you, please click here to find the whole range of areas we offer Apprenticeships in. You can apply for any of these areas and we will work with you to find a placement with an employer. The Royal Oak at Hurdlow are a growing independently owned business – with a passion for great home cooked food and exceptional customer service. We are looking for a passionate new kitchen assistant to work in an established kitchen team serving 1000-1800 covers per week. You will get involved with all aspects of food preparation, service and kitchen hygiene. We also have a sister company, Peak Venues, which offers catering for corporate events. You should have a passion for cooking and a good work ethic to join a great fun, young and very loyal team. Friendly, a team player, organised and reliable. In return you will receive fantastic on the job training along side support to achieve a Nationally Recognised qualification. Apply now to take advantage of this opportunity! Please note the College Campus for this apprenticeship is Buxton. All aspects of home cooked food from preparation to plating up. Showcasing what is available locally alongside snacks, traditional favourites and mouth-watering specials. A passion for the industry is a must. Some basic cooking skills would be advantageous. Friendly, a team player, the ability to listen to your peers, organised and reliable. There is strong potential for permanent employment and/or further training on completion of this apprenticeship dependant on your performance throughout. Transport is poor in the area, you should consider carefully how you will get to work each day. Working hours will include evenings, weekends and bank holidays – please consider this before applying. 30 hours on a shift basis. Hours will include evening, weekend and bank holiday working. We are a family owned business manufacturing dairy products. We are expanding our customer base nationally selling online and in our ice cream parlour at Monyash. Working within a busy dairy which has a café, ice cream parlour, caravan site and sells produce direct to consumers. You will be a first point of call for customers to ensure they have great experience. There will also be the opportunity to learn about the business as a whole spending time making produce and in the dairy. There is every possibility for permanent employment and/or further formal training. We are 5 miles from Bakewell and 6 miles from Buxton so your own transport is needed. 30 hours per week with negotiable start and finish times, you will also have time off to attend college. 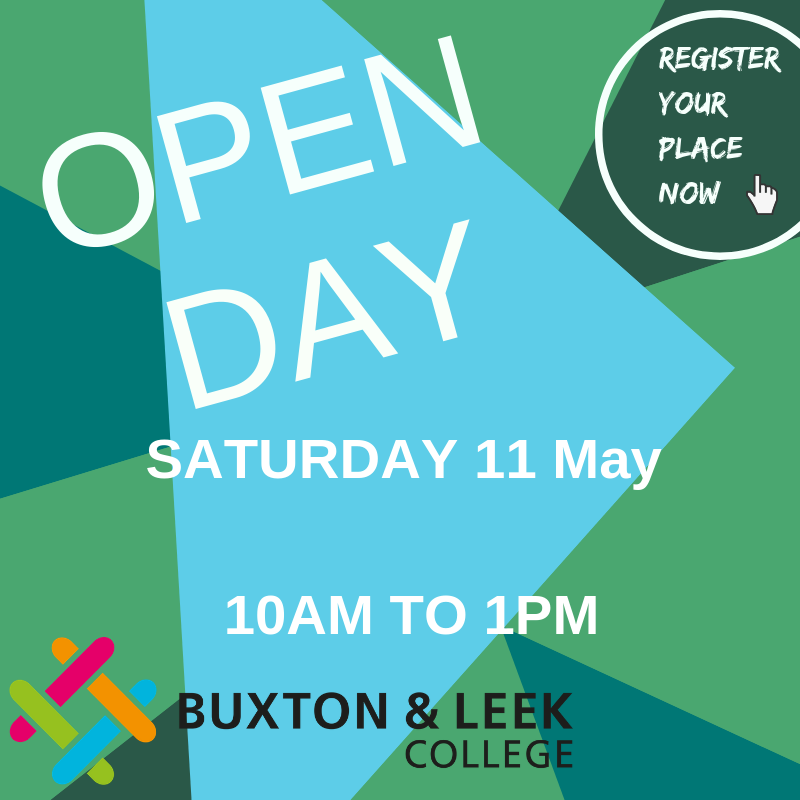 Please note the College Campus for this apprenticeship is Leek or Buxton. Three Roofs Cafe – A retreat in the heart of the Peak District. Freshly cooked food. Warming welcome. A Commis Chef is wanted to join our team, set within the picturesque and popular village of Castleton the Three Roofs Cafe offers freshly cooked food using locally sourced produce and a warm welcome. You should be passionate about working in the sector, have a pro-active attitude, be able to prioritise tasks and have a genuine willingness to learn from your peers. You should have a good standard of Maths & English and 1 years’ experience in college or through working. Please consider how you will get to work each day. Minimum 30 hours per week including time spent at college. More hours during busy periods. Your hours of work will be between 8am and 6pm on a rota basis, accounting for your college day. Odyssey is a Greek Restaurant in the heart of Chesterfield (Derbyshire) town centre. The restaurant specialises in delicious Greek food such as moussaka (meat & vegetarian), rabbit stifado, Greek meatballs, grilled meat/seafood skewers and gyros are among the many menu options. Odyssey also has a range of vegetarian options, combining food from the meze section, such as grilled aubergine, tzatziki, stuffed mushrooms, breaded feta cheese and much more. Customers describe Odyssey’s atmosphere as relaxed, romantic, warm, and cosy with Greek music playing in the background and very friendly & accommodating staff. All aspects of home cooked Greek food from preparation to plating up. Organised, tidy, clean, attention to detail. You should have a good standard of Maths & English. Friday & Saturday restaurant closes at 23:00 so consideration for transportation at this time of the night. Approx 40 hours per week including college. The restaurant is open Tuesday – Sunday, your hours will very to cover opening hours. Quintessential food led country pub, quirky, relaxed and cosy. Monthly changing seasonal menus with everything being made in house. Only 10 tables seating 34 but turning out approximately between 500 to 600 covers weekly. Great place to learn with at least 11 dishes changing plus desserts, regular menu items and specials each month. I have been trading at the Packhorse for the past 11 years and have brought all my knowledge from 16 years managing high volume bars and restaurants in London. In my time at the Packhorse the turnover has tripled. We are currently looking to employ young chefs that we will bring on and up to speed very quickly in all aspects as we have with many others over the years. There is also real potential to move upwards into a more senior role once we have seen how that person works. Great opportunity! Country pub seeks enthusiastic chefs to gain experience in catering. Good rates of pay and a great place to learn with monthly changing, seasonal menus. Preparation and service of all elements of the starters, tapas, sandwich and dessert section. Assisting more senior chefs in plating up on the pass and general kitchen duties. Hard working, enthusiastic about food and willing to learn. Clean and tidy, friendly, and must be able to get on with others in a small team. Permanent job and security with more money for the right candidates. Potential to move into a more senior role quite quickly with the relevant pay. We are in a rural location so own transport is very helpful. We are on a bus route but unsure if the timetable coincides with work hours and there are none after 6pm. Rota basis mixed over days and nights. Day shifts – 9 till 4 weekdays, 9 till 5 weekends. Night shifts – 5 till approximately 10.30 across the week. Approx. 30 hours per week plus weekly day release to college. The Greenman (The Old Brewery) Public House and Restaurant is an exciting new pub and dining establishment in the heart of the market town of Ashbourne, just on the edge of the Peak District. The pub is a flagship for Nyetimber Wines and features classic offers like Timothy Taylor’s, a small but well-chosen wine list of 40 bins and a wide range of spirits, as well as the international favourites like Estella Damm and Maeloc. In the dining room, expect refined, unpretentious cooking with wonderful ingredients. With just forty covers, and set back from the bustling bar, diners can enjoy a meal in a secluded and cosy atmosphere. This dining room is overlooking the expansive open plan kitchen where you can watch the highly skilled team at work. The kitchen boasts the latest in culinary equipment, which the chefs use to their full advantage to create the food on offer. The menu is entirely seasonal, so will be varied and change often, but the emphasis is on simplicity, with local, seasonal, top quality produce at the heart. Working under the supervision of the Executive Chef, Head Chef & Sous Chef, you must be able to work under pressure in order to succeed in your role. Duties and responsibilities working as a Commis Chef involves learning a lot of different skills in a short amount of time and then practicing those skills by implementing them in actual tasks throughout the kitchen. The most successful Commis Chefs are fast learners who actively develop their skills and are not afraid to ask Senior Chefs as many questions as necessary. Helping prepare ingredients and do any tasks the Chefs need assistance with. Helping carry & unpack deliveries and learn where everything goes. Learn about general day to day running of the kitchen. Measuring out ingredients and portion sizing. Preparing vegetables. Assist and learn about stock rotation. Ensuring good food hygiene and health and health and safety at all times. Keeping Chefs stations clean and organised. Basic knife skills would be advantageous. Ideally candidates will have good numeracy, literacy and ICT skills (grade C/4 or above) You may be able to study these alongside your apprenticeship – to be discussed at college interview. Working hours will include evenings, weekends and bank holidays. Transport, you should consider how you will to and from work each day. 30 hours per week including college on a shift basis that will include evenings, weekends and bank holidays. £117 – £170 per week dependant on any experience and/or prior achievement. Matlock Meadows is a family owned/run business based on a real working Dairy Farm. The farm has diversified into ice cream production using the farms own milk. This is retailed through the farm’s on-site coffee shop/ice cream parlour. The business has grown over the past 7 years both with wholesale ice cream sales and expansion of the coffee shop with a larger food offering. A good standard of Maths & English, ideally GCSE grade C/4 or above however there may be a possibility of studying towards these alongside your apprenticeship. As we keep written records it is important that you have neat handwriting. There is a strong potential for a permanent role and more training. There is a short walk from the town centre if using public transport to get to work. You will be required to work weekend shifts. To assist with the manufacture of ice cream you will be asked to weigh reasonably heavy ingredients, carry buckets/pans of ice cream etc so a reasonable level of fitness would be required. Working shifts to cover our opening hours which are Tuesdays – Sundays 9.30am – 5.30pm. Approx. 30 hours per week. We opened the Napoli restaurant back in June 2013 with the aim of bringing true Neapolitan pizza and beautiful handmade pasta to our home town of leek. The restaurant was designed to be a laid back and relaxing place to eat out with friends and loved ones whilst delivering the great quality traditional Italian food that we have come to love so much. Working front of house and some food production at the Napoli; We observe the strict rules of Neapolitan pizza making. We are looking for a committed team member to join us. Some customer service skills would be advantageous. A passion for the hospitality industry. Friendly, organised, punctual, reliable, able to work as part of a team and able to follow instruction. There may be a possibility of completing functional skills alongside your apprenticeship, please discuss at college interview. There is potential for permanent work following the completion of your apprenticeship. Please note we are open evenings, weekends and bank holidays. Approx. 30-40 hours per week working shifts to cover open hours. You will also spend one day a week at college. Altrad Belle is a market leader in the design and manufacture of light construction equipment for the building and construction industries in the UK and across the globe. Since 2009, Altrad Belle has been part of the rapidly growing Altrad Group, and due to a continued significant increase in the demand for our products we are currently seeking an apprentice to join our company. This is an exciting opportunity for a Business Apprentice to work and learn in an office administration role. This is a varied apprenticeship working in several departments of the company to gain an understanding of them all. This is an exciting opportunity for a Business Apprentice to work and learn in an office administration role. You will move around the business spending time in all departments to gain knowledge and experience of a business environment. Previous business studies or experience at school/college would be preferred but you must have a genuine interest in business studies. Good communication skills both verbally and written. Ability to work as part of a team or independently. Friendly, reliable, punctual and able to work effectively as part of a team. You must be punctual, reliable and have a keen willingness to learn. 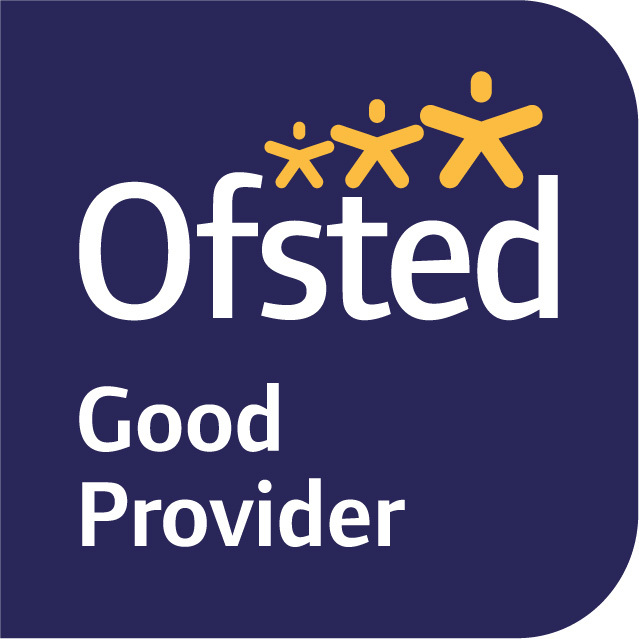 You will ideally have GCSE grades A-C (9-4) in English, Maths, and ICT. This is a 2 to 3 Year Apprenticeship Programme with job based training and day release to college leading to a Level 3 Business Administration. There is strong potential for a permanent role within our growing business. We are located in Sheen Nr Buxton, please think carefully how you will get to work each day. Please note the College Campus for this apprenticeship is Buxton or Leek. We offer residential care, nursing care and always strive for exceptional standards for our residents, their families and loved ones. You will learn all aspects of office management and reception work and in time will be able to take personal ownership of these important functions. Dealing with enquiries, filing, administration of documentation, management of cash and basic accounts, dealing with sensitive information, greeting visitors, offering a professional welcome to a wide range of guests. You will also become proficient in marketing skills, including the use of social media, creating and presenting written material, representing the home at trade shows/exhibitions. You will become an integral part of our team performing important duties to ensure the smooth running of the home. Record keeping, patience, a sense of humour and a passion for teamwork are all required skills. Patient, a good sense of humour, polite, respectful, a team player, reliable and empathy. 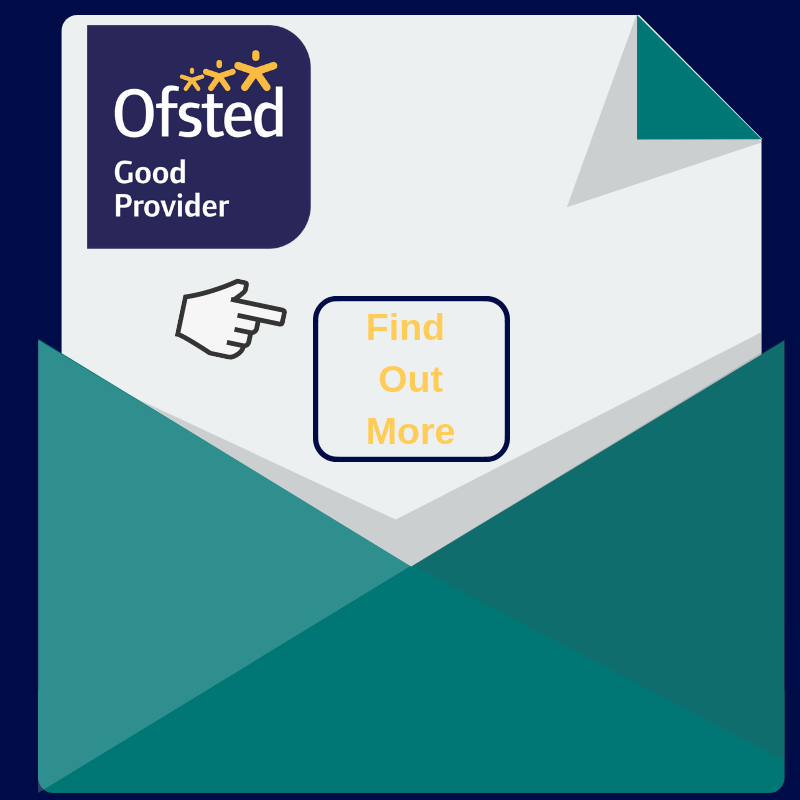 Ideally GCSE grades A-C (9-4) in English, Maths, and ICT however there may be the possibility of study towards these qualifications alongside your apprenticeship. We are a growing company and permanent employment is very much a possibility, we have great career progression opportunity’s alongside further training. Our residents’ day to day lives and wellbeing, and happiness, partly rest on YOU! It can be hard and sometimes demanding work, but you can change someone’s life – every single day you work! You will need a Disclosure Barring Service (DBS, previously CRB) check completing, this will be discussed at the college interview. 40 hours per week on a rota basis including alternate weekends and some public holidays. The rota will allow for college attendance. Dependant on age but will be above the minimum apprenticeship rate of £156 per week. Offering personal care and assistance to residents of the home. Working as part of an excellent and very supportive team, you will give all the support required by residents of the home throughout your shift. This will range from personal care, assistance with meals, social activities and emotional support. Personal care which includes washing and dressing but could also include helping with cutting/painting nails, brushing/styling hair or shaving to help our residents look good and feel good too. You will also assist residents with eating and drinking, so the ability to make a nice cup of tea would be advantageous! Social activities are very important and you will help to facilitate these, getting involved your primary task is to ensure residents enjoy themselves but we’re sure you’ll enjoy yourself just as much. You will become an integral part of our team performing important duties to ensure the comfort of our residents. Privately owned free house pub with a busy restaurant and luxury accommodation. Exciting opportunity to join a new kitchen team working in newly refurbished country pub with luxury accommodation. Assisting the kitchen manager you will help to run a busy kitchen producing freshly prepared food to a high standard. Duties are likely to include; Stock management, stock ordering, pre-service prep, preparation of freshly cooked food, clean down during and after service. All other aspects of working in a kitchen. Basic general food skills, a basic understanding of kitchen hygiene and some basic knife skills would be advantageous. Friendly, a team player, the ability to listen to your peers, organised and reliable with a passion for food and a desire to learn and gain responsibility. Ideally GCSE grades A-C (9-4) in English and Maths however there may be the possibility of study towards these qualifications alongside your apprenticeship. We expect the apprentice will become a full time, valued member of our team for many years to come. Approx. 35 hours per week on a shift basis that will include breakfast shifts, evenings, weekends and bank holidays. There are no split shifts. £136.50 – £200 dependant on any existing skills, knowledge or experience. Working with precious metals you should be trustworthy and committed to assisting with the smooth running of the business. Administrative assistant to work in a small office environment assisting with all aspects of the business such as; processing orders, handling purchasing requests from production, communicating with customers, head office and other intercompany departments. You role will also include general office duties such as filling, maintaining company records, accounts admin and any other duties that befit your role within the company or enhance your college learning or understanding of the business functions. We are looking for an individual with the willingness to learn and adapt in a diverse industry working with a small team of experts. It would be advantageous if you have reasonable typing skills, Microsoft office and are confident speaking on the telephone – these are not essential. Good communication skills, an excellent attitude towards work and the ability to work as a team to achieve common goals. A good standard of Maths & English ideally C/4 or above. You may be able to achieve these alongside your apprenticeship dependant on your circumstances. We envisage that you would join us on a permanent basis on completion of your apprenticeship dependant on your performance throughout. 38 hour week with weekly attendance to college. Business hours are; 7.30am – 4.30pm Monday – Thursday and 7.30am – 2.30pm on Friday. Our current kitchen team consists of head chef, sous chef and commis chef. We are advertising for another commis level of chef to strengthen team as we expand the kitchen, we would also consider a chef de partie level person. We are looking at a 30-40 hour week with flexibility for candidate to attend college when needed. Shifts are a mix of straight and split shifts. If travel to and from work is an issue we can tailor shifts to suit. We use fresh, local and seasonal produce to make our flavoursome dishes. Our head chef has previous training from Michelin star chefs. He has trained 2 college chefs before who have now progressed to more senior chef roles. We are a very proactive, positive and friendly kitchen team to work with. Please see our web site and trip advisor reviews to get a better idea about what we do. Great work ethics, a passion for food. Excited about using fresh ingredients and making them into great dishes. A positive ‘can do’attitude. Team player, positive attitude, pride in personal hygiene around food. You should have a good standard of Maths & English, ideally GCSE grade C/4 or above. To study a chef de partie course you will have already completed, or will soon complete, a relevant cookery course. Or have extensive industry experience. We envisage that the apprentice will become a permanent team member. 30 -40 hours a week. Mix of split and straight shifts. Generally start at 10am -2pm 6pm -10pm. £14,000 – £16,000 + tips and pay appraisals. We are a busy café/bistro serving a variety of interesting home-cooked dishes from around the world such as; curry, tapas, Greek, Thai, Chinese, Mexican and American style menus. You should have a passion for cooking and a good work ethic. You should have a good standard of Maths & English, ideally GCSE grade C/4 or above. You may be able to study equivalent qualifications alongside your apprenticeship – to be discussed at college interview. Minimum 30 hours per week on a shift basis with time given to attend college. We are open; Café – everyday (except Tuesday) 9.30am – 3.30pm. Bistro; Thursday, Friday & Saturday; from 6pm. BARRETT’S is a family business, where our mission is to empower everyone who walks through our doors and to help them feel confident and beautiful. Our team are handpicked, dedicated, experienced and have brilliant personalities. We love what we do, and this is reflected in our clients who love coming to BARRETT’S salon. Seeking a salon superstar to join our hard working, but extremely fun and friendly team based in our Hair and Beauty Salon in Alderley Edge. If you are passionate about delivering an excellent client experience through your high quality beauty treatments and outstanding customer service skills we’d love to hear from you. You will support the day to day running of the Salon and currently study towards a level 2 or 3 beauty course. • Carrying out beauty treatments (after training and as training progresses) – i.e. Massage, waxing, lashes, facials, manicure, pedicure and many others (which initially you will be shadowing a senior member of staff). • Preparing nails for treatment. • Greeting clients and managing bookings. • Complete administration and cleaning where needed. On very busy days you will be required to support the hairdressers, replenishing towels, washing hair (which initially you will be shadowing a senior member of staff) and greeting clients. Passionate about beauty therapy and exceeding client expectations. Professional, Customer Focussed, Friendly, A Tam Player, The ability to listen and learn and take constructive feedback on board, Trustworthy and Reliable with a great sense of humour. Takes pride in ones work and enjoys learning. If you would like to be considered for a level 3 apprenticeship you should already have completed (or soon to complete) a relevant level 2 course. We envisage that the apprentice will become a permanent team member dependant on performance throughout the apprenticeship. Thursdays, Fridays and Saturday’s are the Salon’s busiest days. You will be expected to work on these days plus another day during the week. Opening hours are typically 9am – 8pm. You will also spend one day per week at college. Benefits; Commission structure, Uniform provided, Opportunities for career progression, Training in modern treatments and therapies and Fantastic working environment.